Around the Great Britain. This 10-day trip will take you from Poole, along the Jurrasic Coast and up the Irish Sea towards Scotland. If the winds are favourable, you might make a stop in Dublin. 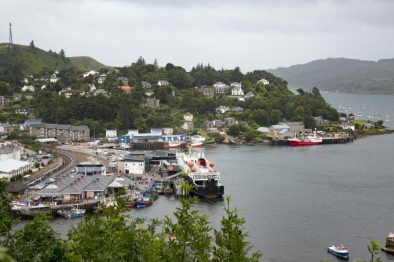 The trip will end in Oban, the gataway to Scotland’s Western Isles and a very welcominig port town on its own. Open for able-bodied and disabled trainees. Minimum age 16 years. More info: info@windseeker.org The final price may be subject to small changes due to currency exchange rates. 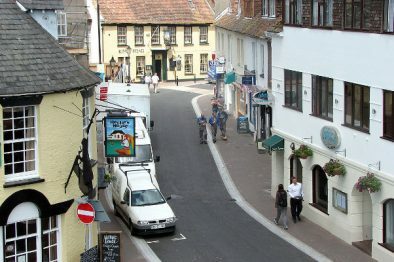 Poole is a large town on the south coast of England. It has a quaint old harbor, and an attractive old town. The area is popular amongst wealthy people, so make sure a restaurant fits your budget before you order. Water sports are popular in the area, as is hiking and cycling. If you want to have a slightly more restful stay, Poole has a number of excellent beaches. The surrounding Dorset countryside is extraordinarily beautiful, so rent a car and explore if you have the time! 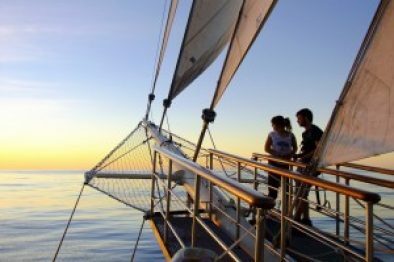 "My trip in a few words: Sailed, tried new things. Big ship. Seasickness. Spent a lot of time on the sea." The long days at sea started to take their toll. My 19-year old fellow Windseekers felt their boots start to boil. Time for some whoopie in the wheelhouse!